250 of the most notable birds from across North America are presented in this stunning multi-media reference for bird lovers. 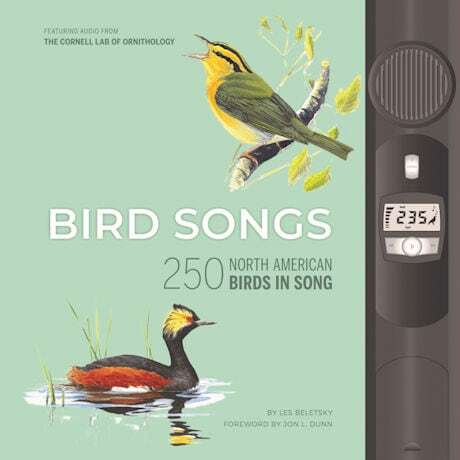 Authoritative background on each bird, lavish full-color illustrations, plus a sleek, built-in digital audio player containing 250 corresponding songs and calls from the world-renowned Cornell Lab of Ornithology. Hardcover, 368 pages.